They don’t come much tougher than Jack Naylor (4f Champs Elysees-Fashionable, by Nashwan) and the Champs Elysees filly was understandably in big demand when offered at the Tattersalls December Sale on Wednesday. The dual G3 winner was admirably consistent for owner Gerry Byrne and trainer Jessica Harrington and also finished second in last season’s G1 Irish Oaks as well as coming third to Found in the G1 Prix Marcel Boussac as a juvenile. 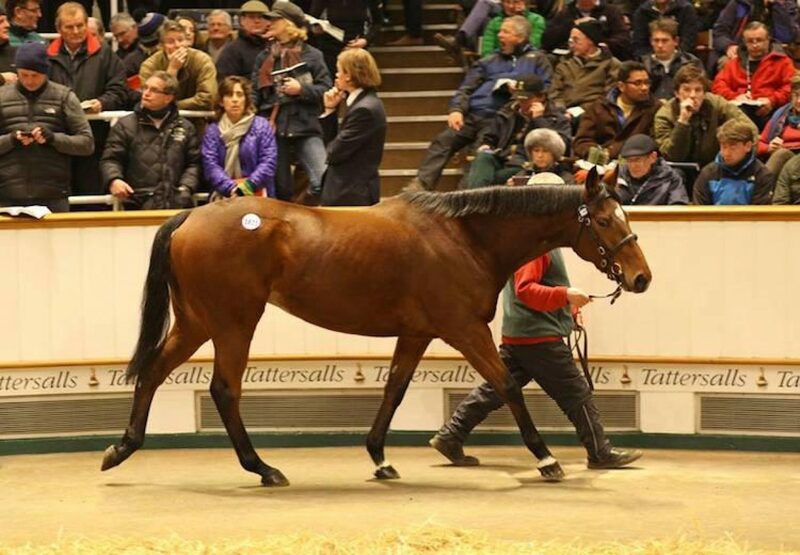 James Wigan of London Thoroughbred Services eventually secured the filly for 800,000gns after outbidding Sheikh Fahad Al Thani. “She’ll stay in the UK. She’s a Classic-placed filly from a lovely Juddmonte family, and she not only proved a very tough racemare, she is a very nice individual,” said Wigan.